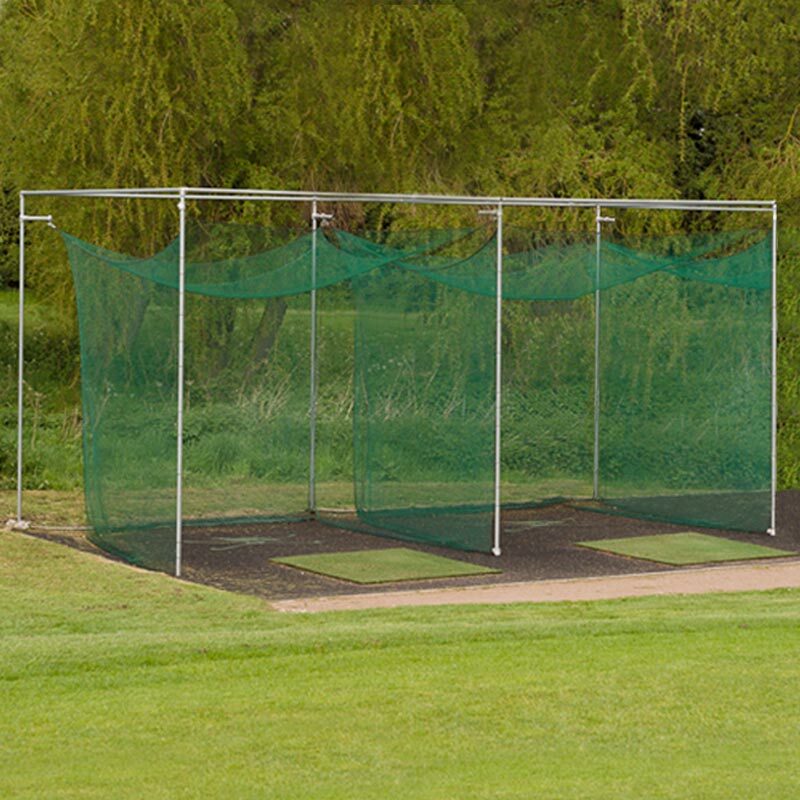 The Harrod Sport Heavy Duty Double Bay Golf Enclosure Complete with Nets & Curtains is the ideal practice cage for golf clubs. 38mm diameter x 1.6mm galvanised steel uprights and top rods complete with tube clamps. 460mm deep steel sockets fitted with stabilising base plates. For safety these bays have been designed so that the net is suspended on the inside of the frame to prevent ball rebound. Steel enclosures may not be suitable for exposed and windy locations. Lost the instructions for your Harrod Sport Heavy Duty Golf Enclosure Double Bay? Please Click Here to download a new copy.